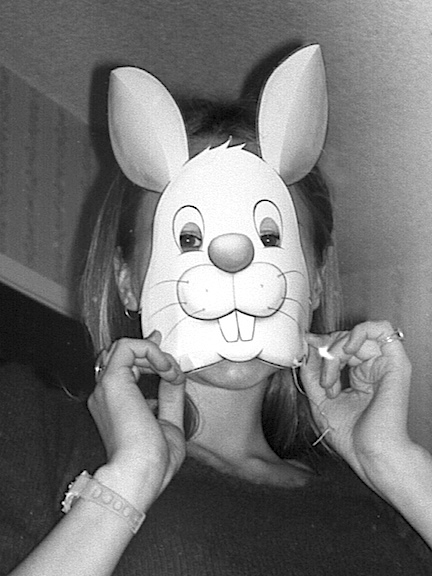 For this month's EDA Inclusive I dug deep into my own stash of personal snapshots and came up with a roll of 35mm b&w film that I have never closely examined before. Below is a photo of Jewel after she carved up a can of cranberry jelly. She extends her creativity into a lot of different things like cooking and making incredible looking salads that are so beautiful you don't want to mess them up. 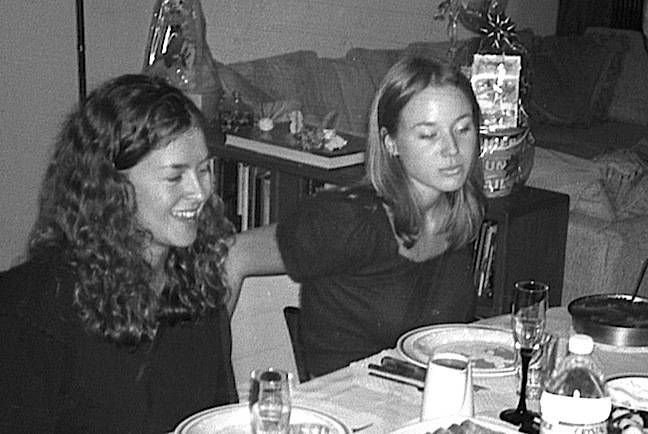 At first I thought the photo was from a Thanksgiving in 1994 but after examining the details in the next photo I saw Easter baskets in the background and realized it was taken at my old house in San Diego on Easter Sunday, April 16, 1995. 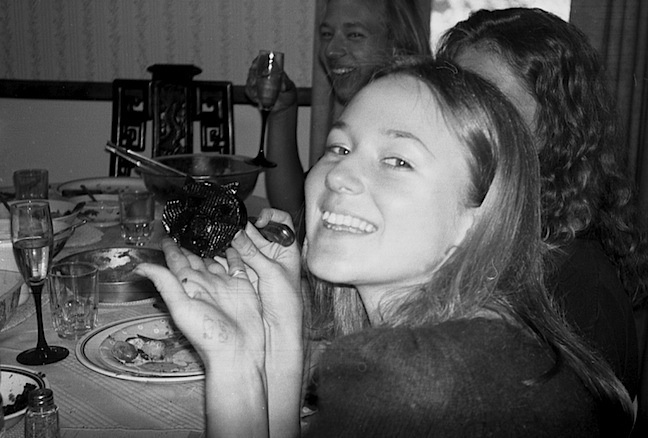 Jewel had just returned from doing shows at The Warfield in San Francisco and Wiltern in LA and had some time off before leaving for a show in Seattle.